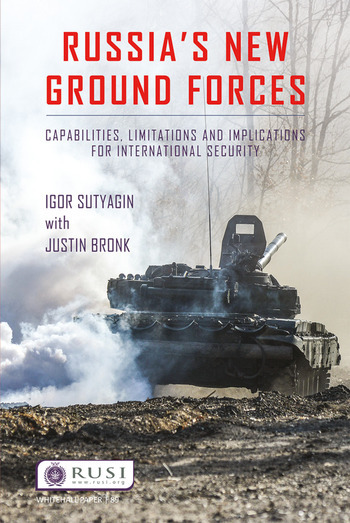 Igor Sutyagin is Senior Research Fellow for Russian studies at RUSI. His research is concerned with US–Russian relations, strategic armaments developments and broader nuclear arms control, anti-ballistic missile defense systems. He has authored more than 100 articles and booklets published in the Soviet Union/Russia, the US, UK, Germany and Switzerland. He is also the co-author of the book Russian Strategic Nuclear Weapons. Justin Bronk is the Research Fellow for airpower and military technology at RUSI. Alongside a primary focus on airpower, his research also includes weapons system and munitions analysis in conflict zones, in particular Ukraine and Syria. Justin is also Editor of RUSI Defence Systems.